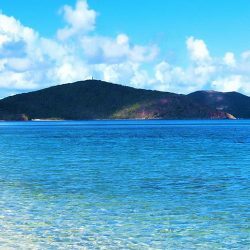 It’s pretty likely that the prospect of 365 beaches to choose from has been a definite influence on your booking Antigua. So now let’s take a look at some of the other amazing things to do in Antigua that might involve the mesmerising beaches or Villas in Antigua but can also include a wide world of wonder and adventure. 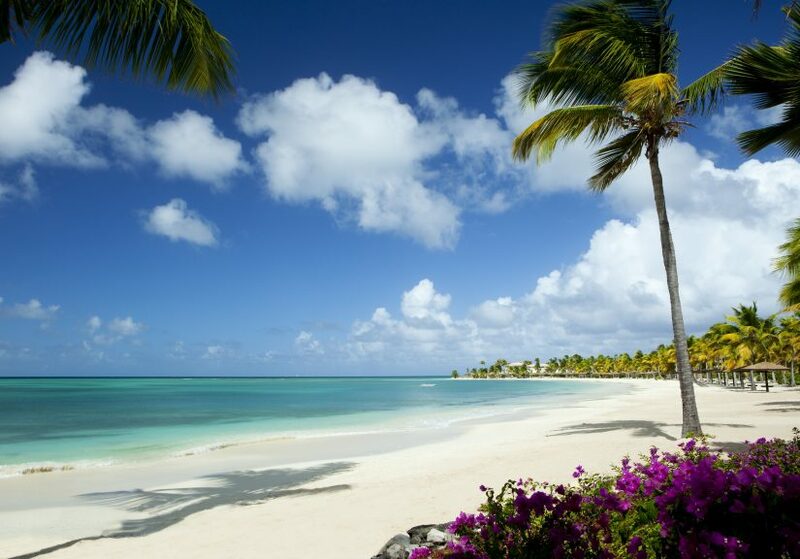 Unquestionably, Antigua is paradise. But on top of all that perfection is a whole lot more to explore. So grab your curiosity – Antigua awaits – let’s dive in! Antigua and Barbuda are two islands that make up one territory. Combined they are part of what is known as the Leeward Islands. Antigua is the larger of the islands and sits in the very heart of the Caribbean. At just over 100 square miles, it has divinely deep harbours that offer home to some world-class sailing and marinas, flowing hills that give visitors breath-taking vistas over the island and its coastlines, palm trees waving alluringly along the white sandy beaches … are you getting a definite picture of the beauty of this wonderful island? With views of the dazzling turquoise waters, where else would you rather be? Antigua was the first port of call on ships sailing from England to the New World and is still the place where intrepid yachtsmen and women call in to provision and refresh after the exhilarating trip across the Atlantic. You don’t have to be Admiral Nelson to enjoy a bit of sailing at Falmouth Harbour but you will most definitely want to visit Nelsons Dockyard – named to honour the man himself. He may have not had the most popular history with the island but he is now revered as one of its most famous residents. As one of the best Antigua things to do, a day pottering around the Dockyard is a must. Nelsons Dockyard is an unforgettable experience, full of history and charm. The old colonial buildings and the museum all offer plenty of detail for anyone interested in a bit of naval history. 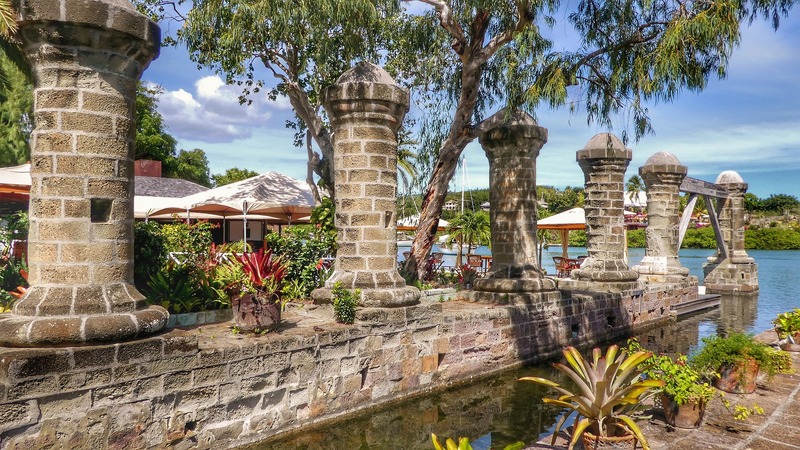 As a wonderful addition, this historic site is located within Nelson’s Dockyard National Park which rises in all its green splendour across the hills that overlook the harbour. Some lovely trails for hiking will make this a nice challenge for you to enjoy. Its ascent is well within the abilities of younger travellers too. Enjoy the views from the hill tops. Antigua has always understood its value as a luxurious destination within the Caribbean. 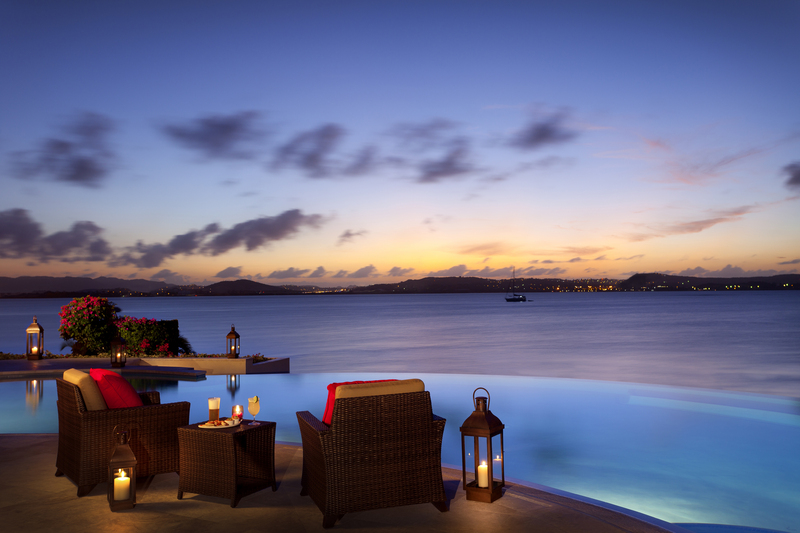 The natural surroundings have designed the ultimate back-drop for some stunning villas and resorts. At Exceptional Villas we’ve curated an eclectic mix of traditional and modern villas, all offering glamour and style wrapped in a serene package. Our very top pick for the ultimate evening out, is to visit Shirley Heights on a Sunday afternoon to take in the jaw-dropping splendour of a proper Caribbean sunset. The dazzling orange/red/yellows that streak across the horizon with Montserrat in the fading distance, defy the talents of any photographer. Nothing can really capture the real thing. You really need to have a delicious rum punch in your hand and the sounds of the vibrant reggae band to create the complete effect. 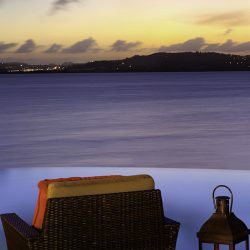 Shirley Heights features unobstructed views of this tropical paradise, Antigua. The ‘pilgrimage’ to Shirley Heights is a Sunday night ritual in Antigua as you can mingle with other visitors and locals, dine on some spicy jerk chicken and BBQ and dance the night away. If you’ve just arrived on the island, it’s the very best introduction to the charm and fun of Antigua. If you already have a week’s vacation under your belt, you will slip into the relaxed groove immediately. Shirley Heights Antigua is an institution in the Caribbean. Don’t miss it! There’s been a lot of controversy of late over the issue of humans swimming with dolphins. It seems that our interactions with them aren’t as welcome or helpful as we might wish to think. If you are keen, though, to have an up close experience with a pretty incredible sea creature then Stingray City Antigua is a memorable day out for you and your family. Swim with these majestic creatures and experience this underwater paradise in Antigua. Don’t be perturbed by the name as Stingrays are gentle, curious and rather intelligent creatures. This amazing tour allowed us to get into the water and stand or swim with the Southern Rays. They will take some squid from your hand and are very happy to be touched. As part of the Tour, we were able to snorkel out and explore the nearby reef and enjoy identifying many different species of tropical fish. It was universally agreed by everyone that this is one of the best things to do in Antigua. Some of the very best view of Antigua are from the shaded deck of a catamaran. 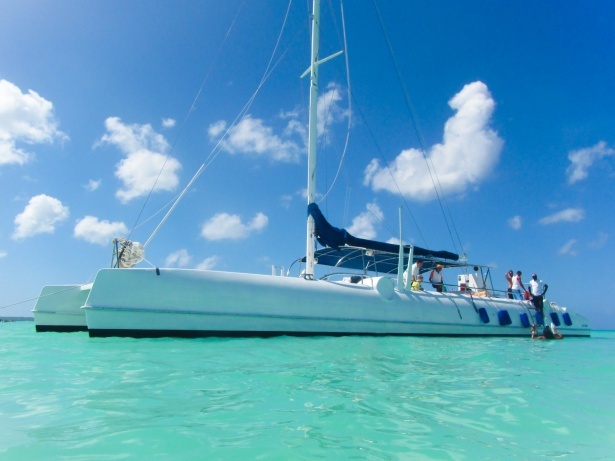 At Exceptional Villas we are delighted to organise luxury crewed catamaran sailing around the island. The brilliant team at Catch the Cat that operates out of Jolly Harbour or Cool Cat who depart from St John’s, will ensure a magical and memorable day at sea. 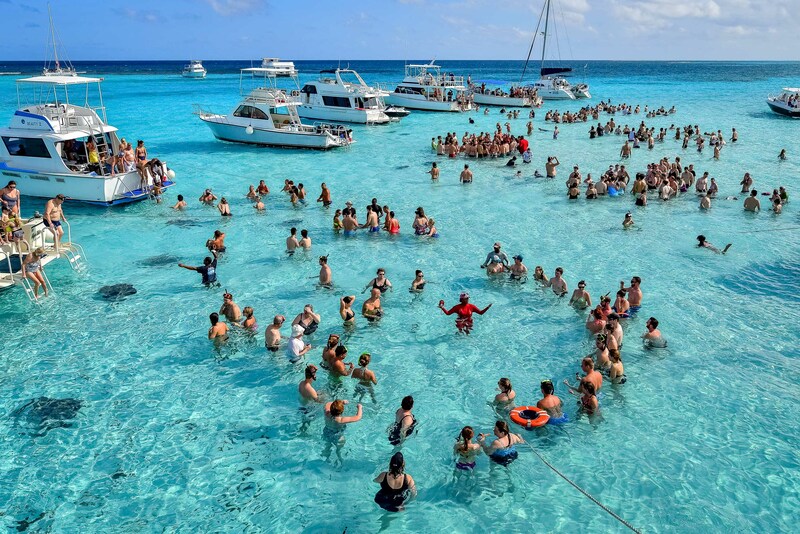 Pack a picnic and set sail onto the crystallized Caribbean waters. You will anchor at some lovely sites where you can snorkel or swim. These experienced sailors know all the best and more secluded parts of the Antiguan coastline. In addition to afternoon sailings, we can arrange for you to take a romantic sunset sail. It might be the ultimate honeymoon experience or perhaps the holiday activity that will have you popping that big question! Whatever your aim, the catamaran trips are fun and fabulous. 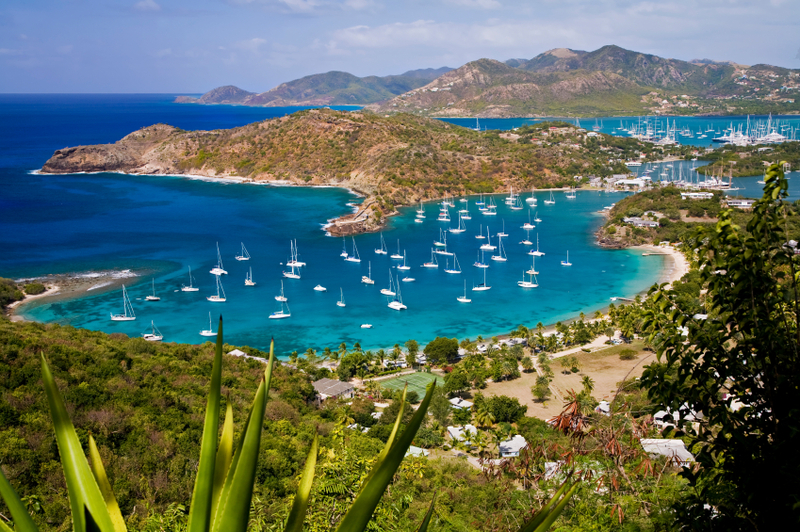 The capital of Antigua and its key port is St Johns. This town has a population of around 22,000 and is the centre to visit for vibrant farmers’ markets, duty free shopping and a whole lot of history. 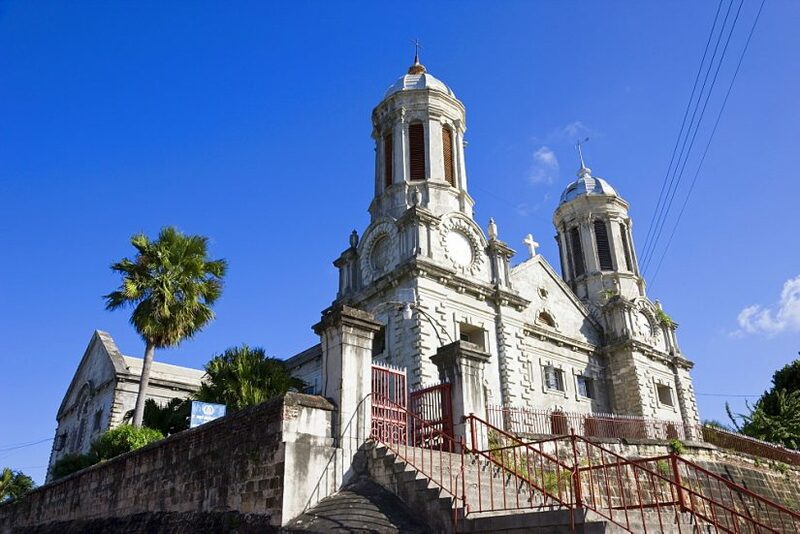 Antigua points of interest include the 19th Century, St John’s cathedral as well as the 17th Century Government House. The cruise ships do stop here so you can find the town somewhat hectic by the port. Don’t let this put you off, as the relaxed vibe in St Johns really makes up for it. There are lots of cute Antigua restaurants to try and you will have to sample the famous goat curry or jerk. St. John’s Cathedral is a captivating site, rich in history and unique character. The duty free shopping is excellent. 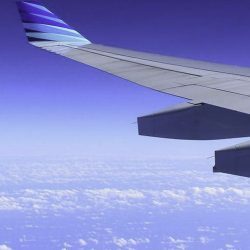 Lots of international brands that you can pick up at more affordable rates than back home. If you want to step away from the shops, then another of the interesting things to do in St John’s Antigua is to make the short trip to St James Fort. This is one of Antigua points of interest. The ruins of this defence at fort James, built by the British to repel the French dates back to the 18th Century. Nearby is the Fort James Beach – a pristine stretch of sandy perfection. A lovely place to swim or sunbathe. With a couple of restaurants, you can have a delicious casual lunch and enjoy the unimpeded views out over the ocean. Lined in rusted canons and ruins, this site is bursting with historic tales of battles once past! With 365 beaches to choose from you might have thought it was a challenge to narrow down some of the very best beaches to visit. But not true! Half Moon Bay is really spectacular. Rarely has nature conspired so brilliantly to create this picture-perfect swoosh of coastline. The half-moon shape of the coast is protected by an off-shore reef that ensure safe and tranquil waters for swimming and splashing. At a short drive from Freetown village on the southeast coast of the island, it’s undoubtedly one of the top beaches in the entire Caribbean and worth visiting. Jumby Bay Beach is another one of Antigua’s top beach destinations. 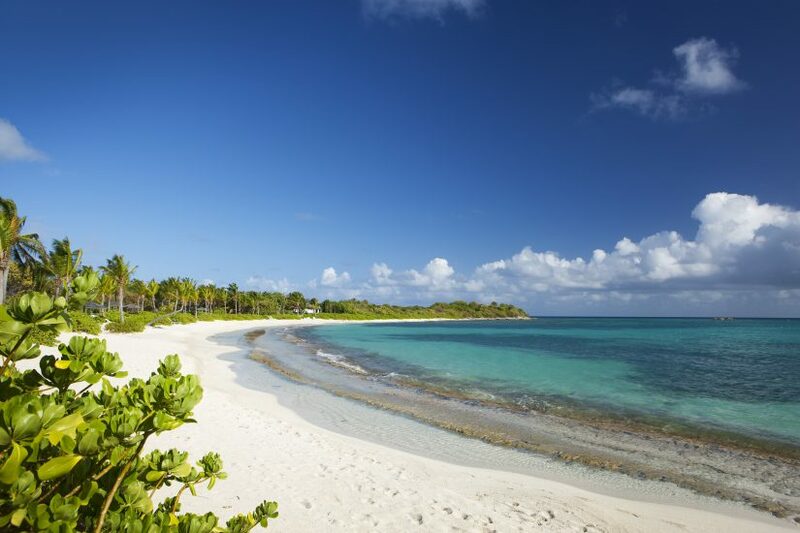 On the north western coast of Antigua is the famous Dickensen Bay Beach. 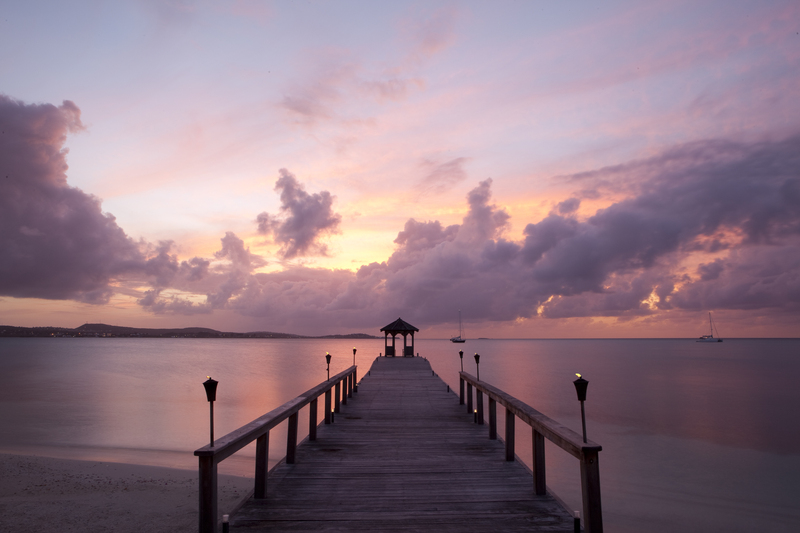 Where Half Moon Bay is about relaxing and tranquillity, Dickensen Bay Beach offers the full holiday experience. Relaxing on your rented lounger under a shading umbrella, you can enjoy an afternoon of water sports, people watching and a few refreshing drinks and snacks. Evening time sees the restaurants and bars on the beach get busier. A romantic dinner at Coconut Grove watching the sun set is really rather lovely. Everyone drops into Dickensen Bay Beach during an Antigua vacation. It would be a missed opportunity while in Antigua not to take a trip to the Museum and site of Betty’s Hope Antigua. This inland point of interest in Antigua is the location of one of the oldest sugar plantations in the world. 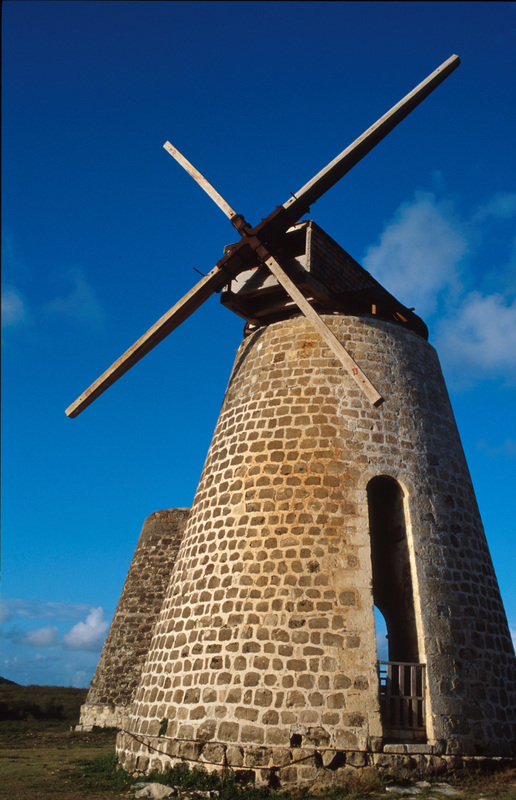 You will see the windmills used to crush the juice from the sugar cane, walk through the ruined processing buildings and see the archive of old photographs and information housed in the museum that give an overview of what life was like at Betty’s Hope. One of the worlds oldest Sugar plantation, Betty’s Hope is a site worth visiting in Antigua. Of course, an important section of this tour focusses on the slave population of Antigua who were brought as prisoners from Africa and forced to work as free labour in these demanding environments. It is a tragic chapter in our history but always valuable to revisit to remind us how we must as global citizens ensure such things can never happen again. Antigua is a lush and verdant island. Its rich rainforest interior offers lots of interesting drives and hikes. 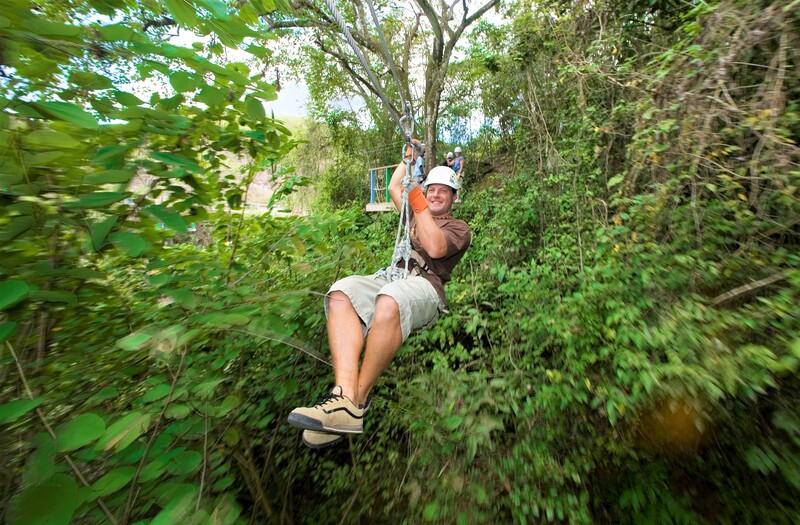 Sometimes though you just want to really get into the heart of it so a half a day at Antigua Rainforest Zipline Tours offers visitors a chance to sail through the air like one of the colourful and shrieking local birds. This award winning company focusses on sustainable tourism with a strong emphasis on being eco minded. Visitors of all ages can try the zipline challenge course or book a tour that includes some kayaking also. The guides are informative and will give you a really thorough introduction to the flora and fauna that you will see. They even specialise in bird calling and encourage everyone to get involved. I have yet to meet anyone who didn’t get an absolute rush from zip-lining. Go on, I dare you! Even if you’ve been living under a rock, it’s pretty unlikely that the name Viv Richards will mean nothing to you. Or should I say, Sir Viv Richards. This legendary cricketer is probably Antigua’s most famous son. You will find his name everywhere in Antigua from streets to buildings to the Sir Viv Richards Stadium. His success as a cricketer with the West Indies made him a household name across the globe. The West Indies Cricket team are great fun to watch live! The West Indies Cricket Team is an amalgamation of players from a number of Caribbean islands, Antigua being one of them. Cricket is still the number one sport on the island and you’ll find kids bowling and batting anywhere they can make space to do so. 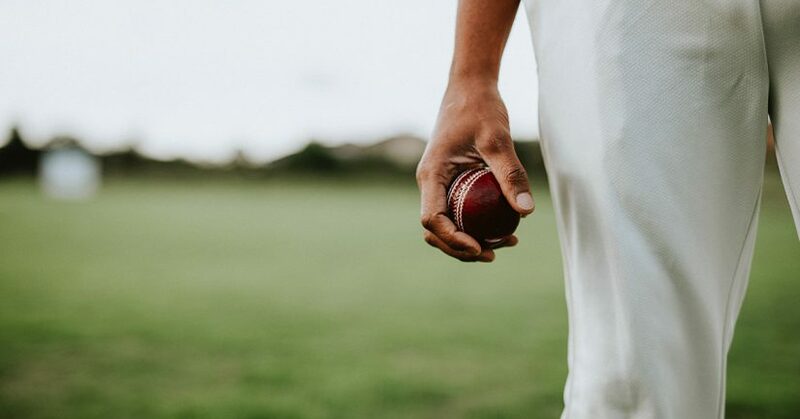 Soccer and basketball are gaining in popularity but the lazy long afternoon dedicated to a game of cricket will never fall out of favour in the Caribbean. Try to track down a cricket match while you are in Antigua. They say that cricket is the forefather of baseball and that’s easy to believe. 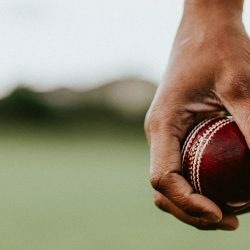 You might not understand all the rules and calls by the umpires but, hey, it’s a day out relaxing with a refreshing beer or Pimms as you embrace your colonial past! Antigua is an amazing island. It has a well-earned reputation as a luxurious yet laid back destination. The incredible shore line of the island is one amazing beach after another like pearls on a necklace. The purity and clarity of the temperate turquoise waters that surround the island are the perfect playground for anyone who enjoys exploring underwater reef structures or being busy on the waves. 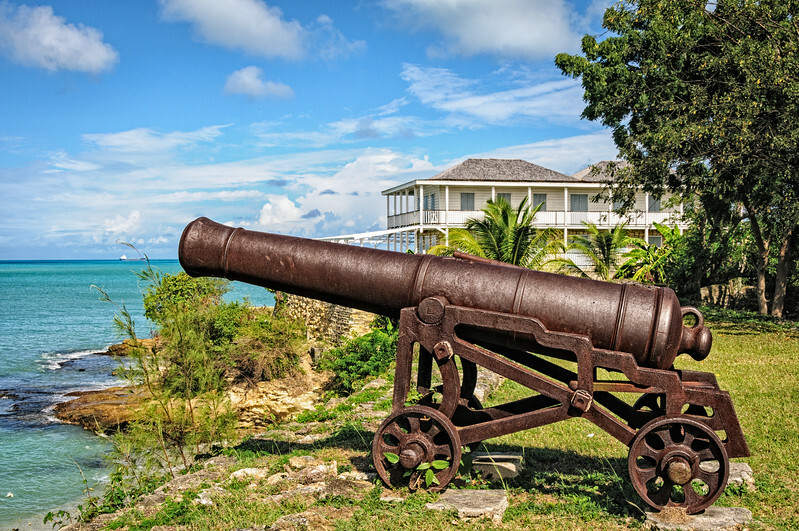 For those who love a bit of history while they add to their freckle collection, there is an amount of ancient buildings and old military ruins that remind us that Antigua was a colony of the great British Empire sitting in splendid isolation in the Caribbean. There are so many things to do in Antigua and Barbuda that you will definitely need more than one visit to tick all the boxes. But for now, why not get started on the adventure of a lifetime. At Exceptional Villas we are ready to introduce you to your favourite corner of the world!